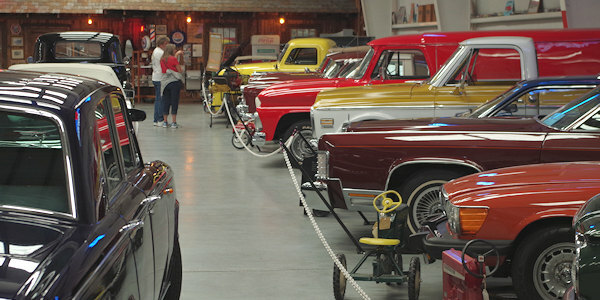 Even if you are a not a car nut, you'll love this museum with lots of personality in Forest City. 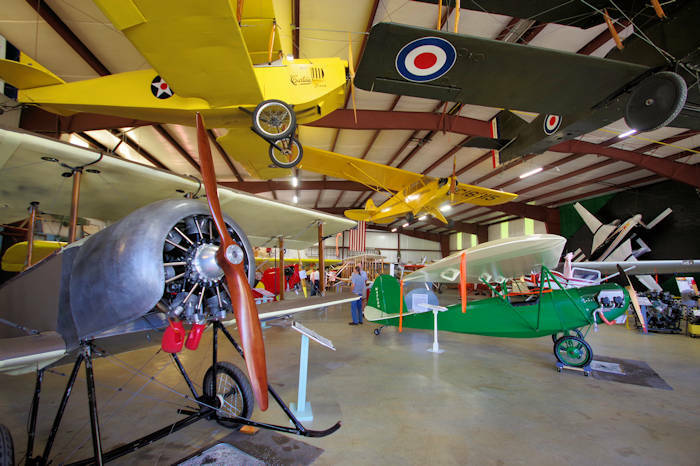 Named “Best Museum in the Nation” by the Antique Automobile Club of America (AACA), Bennett Auto Museum features more than 70 vehicles representing decades of history. 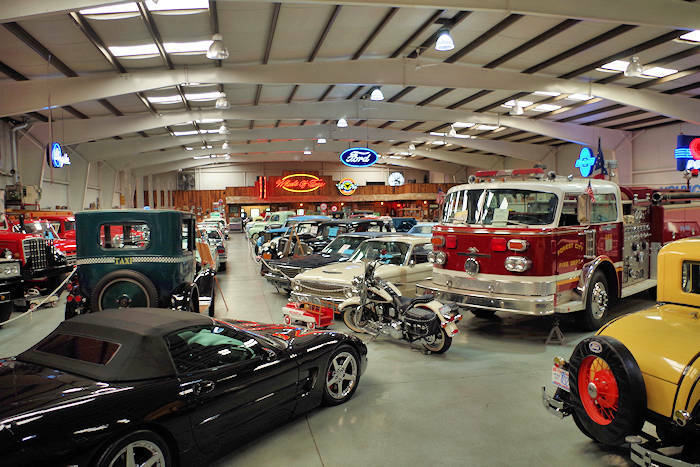 Owners and brothers Buddy and Joe Bennett’s love for classic cars began in the early 1960s. 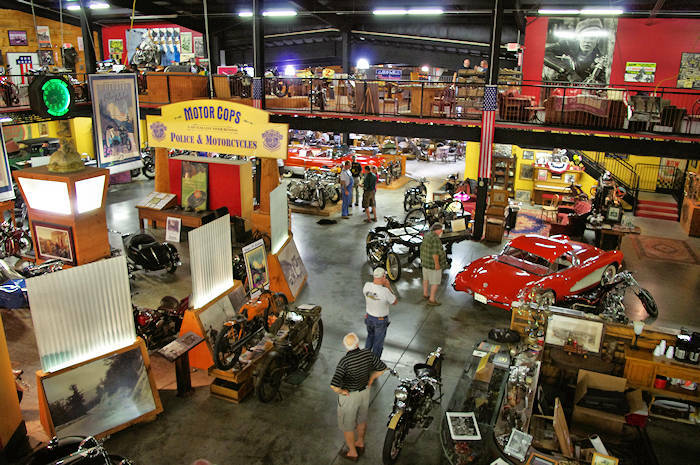 In 2007, the brothers bought a warehouse to store their vast collection of antique vehicles, but soon decided to share their hobby with the public by turning the warehouse into a museum. Today, their pristine collection of antique and modern cars ranges in age from a 1913 Model T to the newest late model classics. 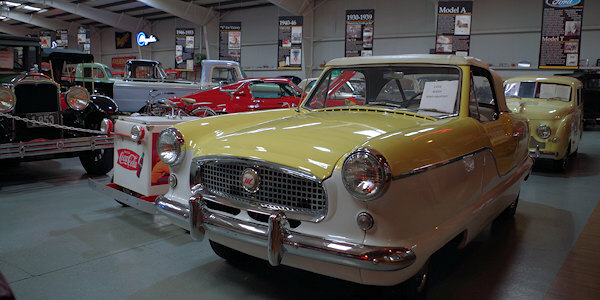 The orphan cars like the Crosley station wagon or the 1956 Nash Metropolitan (pic above) or muscle cars like the Shelby Mustang, are the ones that attract the most stares. From tractors to Mack Trucks to the retired Forest City American Lanfranc Fire truck, and the collection is ever changing. 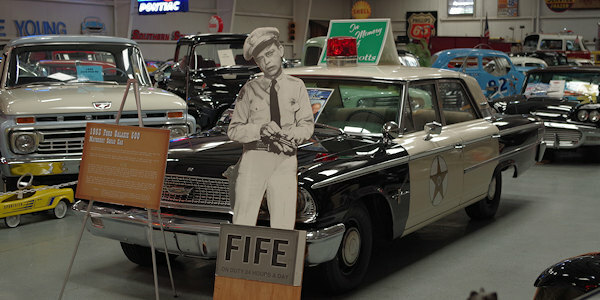 A popular recent addition is the 1963 Ford Mayberry Sheriffs Car signed by Don Knots (A.K.A Barney Fife). Bennett Classics is opened Monday-Friday 10 AM-5 AM and Saturday 10 AM-3 PM at 241 Vance Street, Forest City. For more information, please call 828-247-1767. Admission fee. Read more about things to do in Forest City.